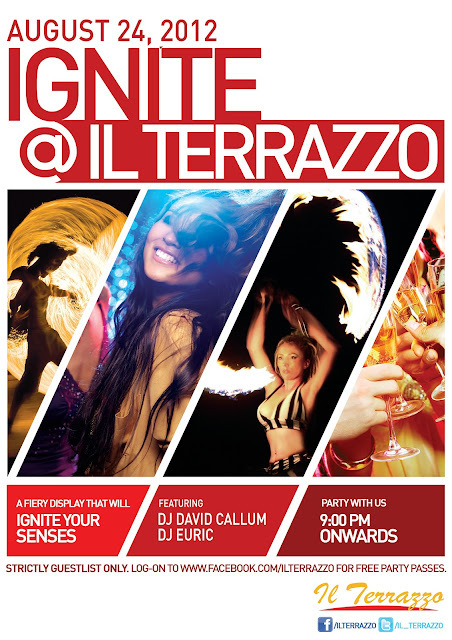 Who Wants VIP Passes for the Il Terrazzo Party This Friday? - Like Il Terrazzo and Wonder Woman Rises on Facebook. - Post this as your FB status: "I want to party at @Il Terrazzo with @tag-a-friend this Friday!!!" - Follow Il Terrazzo and Wonder Woman on Twitter. - Tweet this: "I want to party at @Il_Terrazzo with @tag-a-friend this Friday, @the_lil_miss!!!"